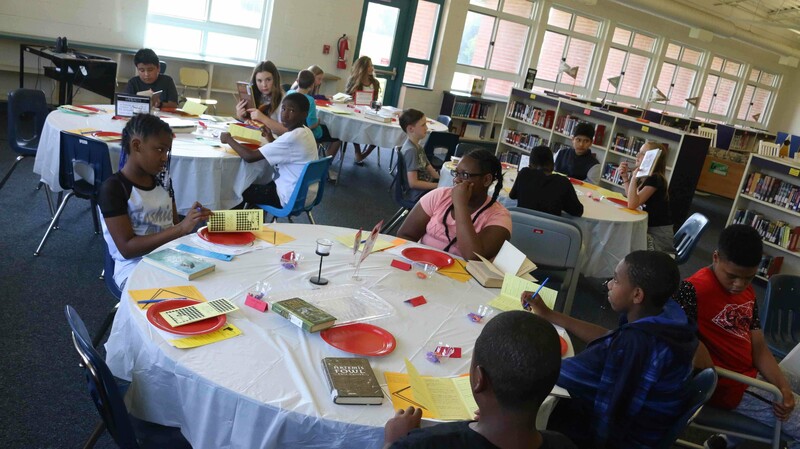 Students at West Pender Middle School participated in a "Book Tasting" this week in the school's media center. 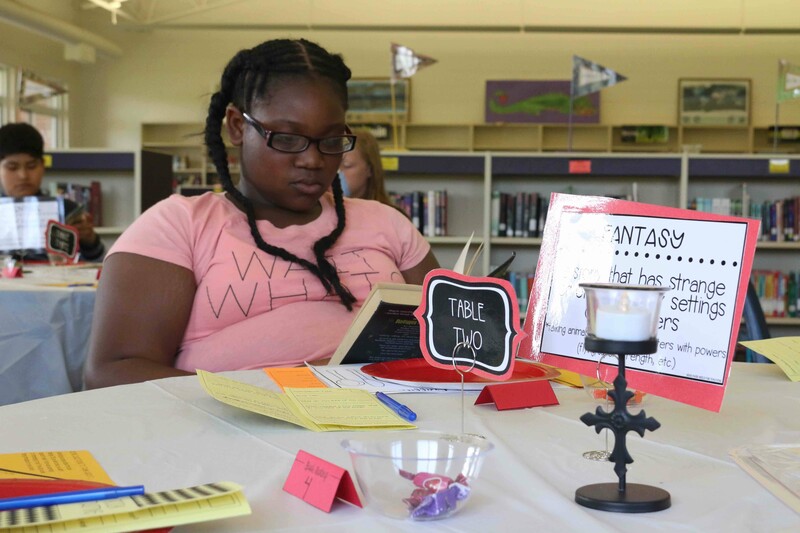 Part of a school-wide initiative to increase interest in reading, students explored a different book genre at each table, including fantasy, historical fiction, mystery, and adventure. 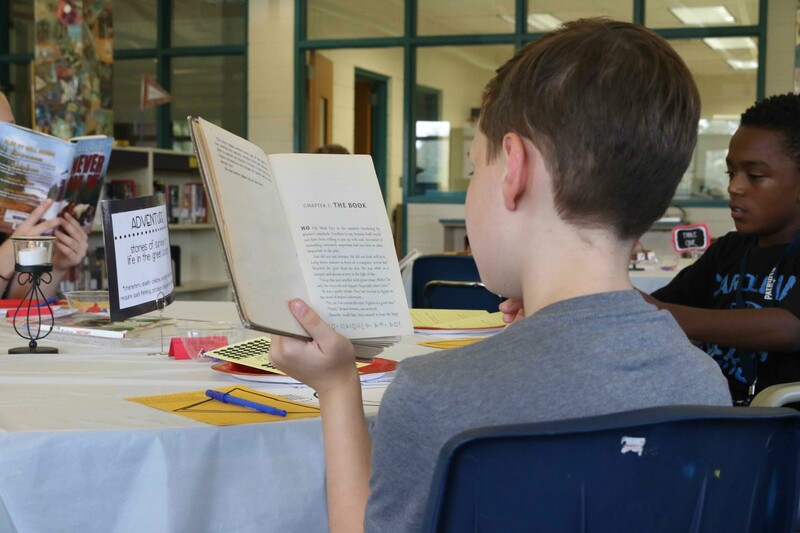 Before choosing a book, students noted their impressions of the cover, then had five minutes to delve into each story before switching to a new table and a new book. 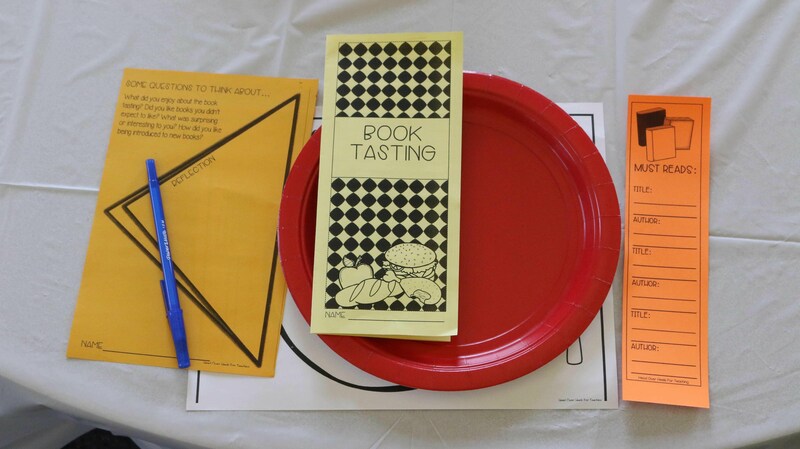 Mrs. Butler, Media Specialist, gave each student a bookmark to keep track of the titles that interested them throughout the "tasting," and every student left with a list of must-reads!